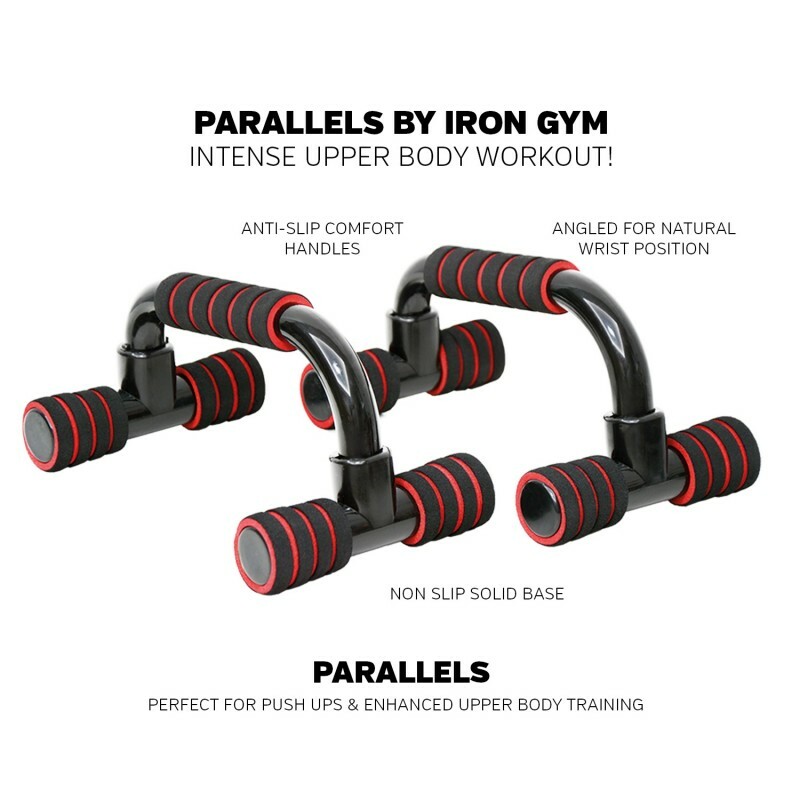 IRON GYM® Parallels are a simple and very effective tool to strengthen and tone your whole upper body. 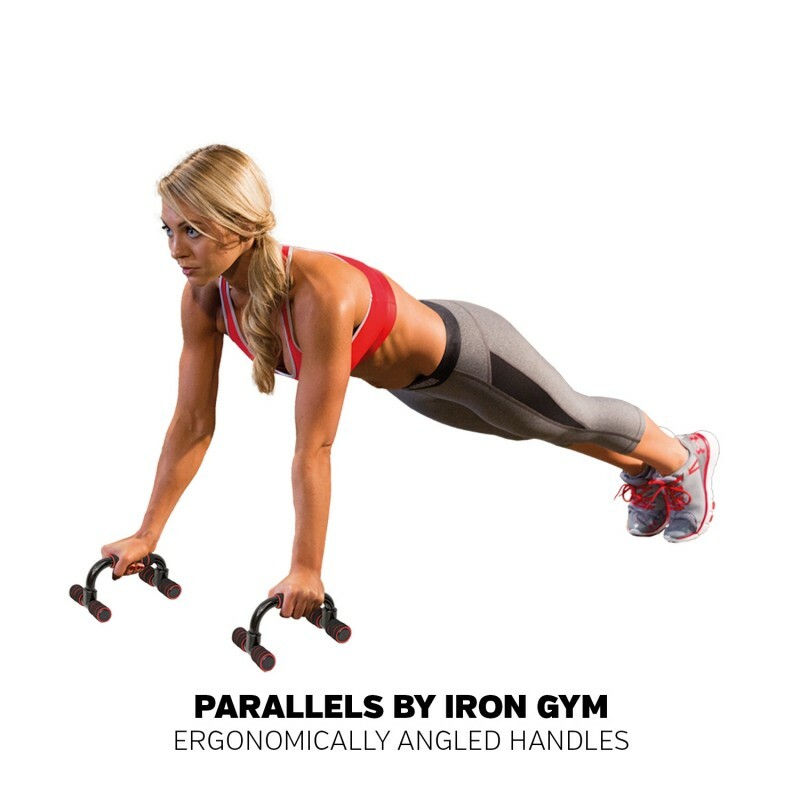 Parallels provide solid non-slip base for all bodyweight training. 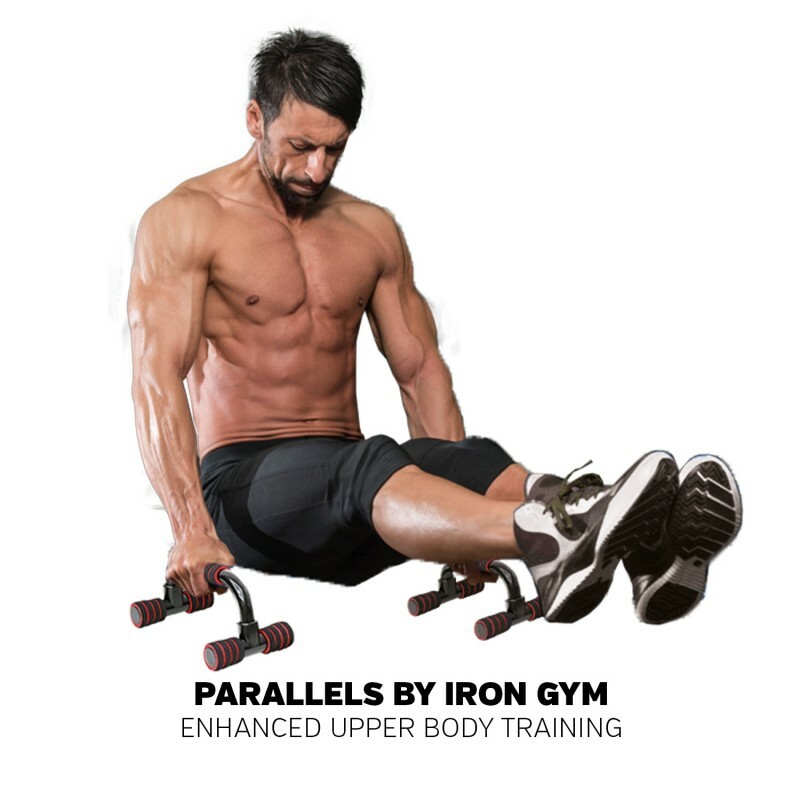 Using IRON GYM® Parallels is a simple and very effective way to strengthen and tone your upper body. 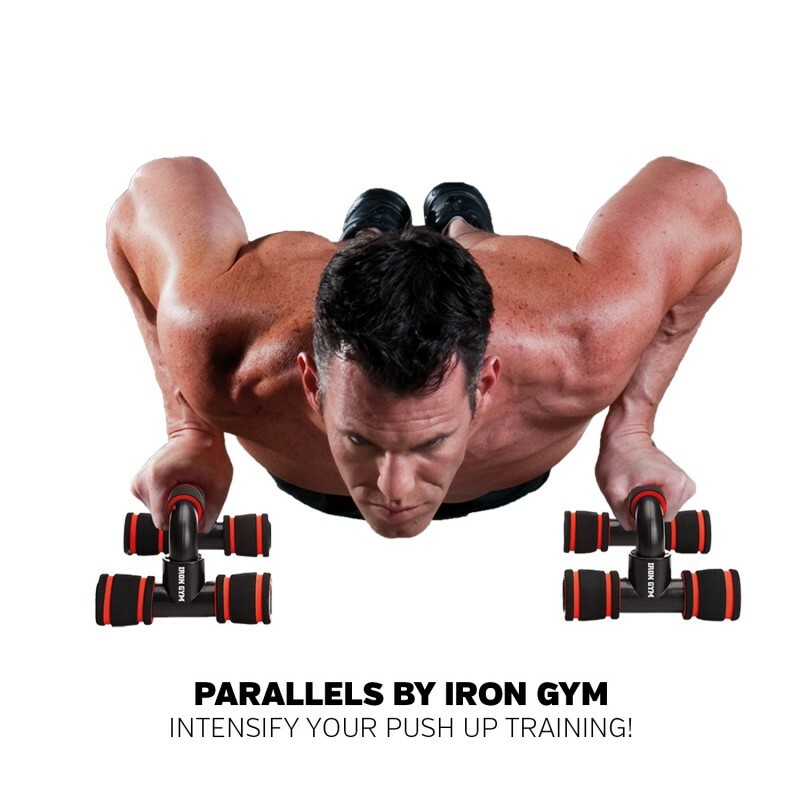 Parallels provide a solid, non-slip base and allow greater range of motion than regular push up. Parallels are angled to reduce strain on wrists and joints. 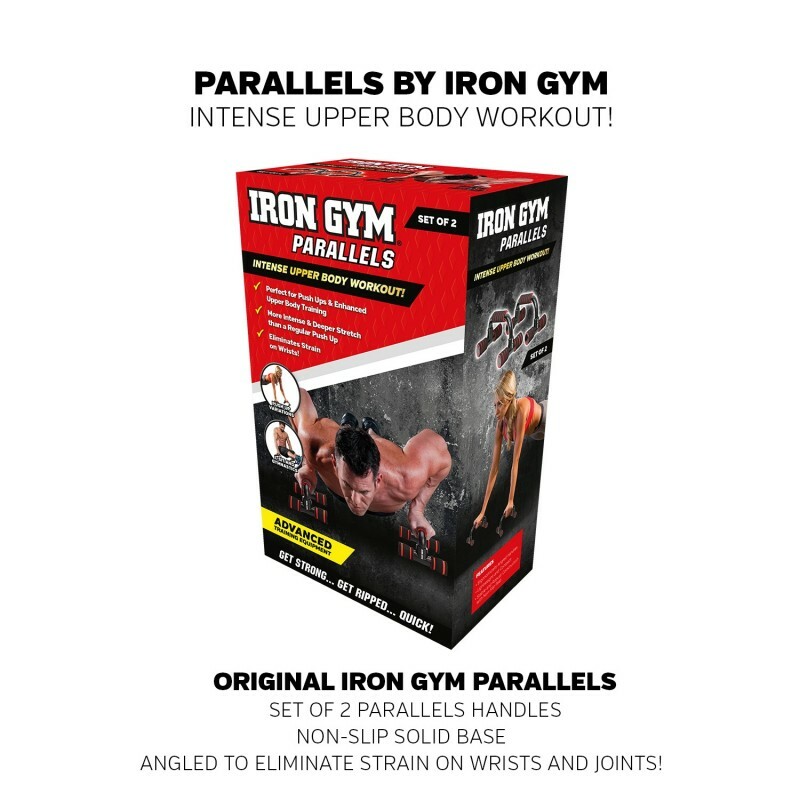 IRON GYM® Parallels are compact and easy to store. Lightweight and compact enough you can carry them in your suitcase while traveling. Effective Way to Strengthen and Tone Your Upper Body! Angled to Eliminate Strain on Wrists and Joints! Free movement training with X-Trainer Pro enhances not just the bigger primary muscles, but also the minor and stabilizer muscles, which play an important role in overall health and performance. Exercises completed using X-Trainer Pro strengthen and tone your abdominal muscles, improving your posture and core strength with every repetition. Develop your strength, power and mobility with X-Trainer Pro, the most versatile suspension trainer for bodyweight training at your home!